1968. Intersectoral Capital Flows in the Economic Development of Taiwan, 1895-1960. Ph. D. diss., Cornell University. 1971. Intersectoral Capital Flows in the Economic Development of Taiwan, 1895-1960. Ithaca, N.Y.: Cornell University Press. 1992. Creating the Future: Towards a New Era for the Chinese People. Taipei: Government Information Office. 1999. The Road to Democracy: Taiwan's Pursuit of Identity. Kyoto: PHP Institute. ^ 洪惟仁. 末代客家人 - 三芝客家方言廢島尋寶. 客家風雲. 1988年3月, (5). ^ 台湾李登辉一生简历，李登辉是台湾人的悲哀！ 存档副本. [2015年12月10日]. （原始内容存档于2015年12月11日）. ^ 6.0 6.1 李登輝著. 新台灣的主張. 台北: 遠足文化. 2015-08. ^ Air Force Historical Studies Office. U.S. Army Air Forces in World War II: Combat Chronology. March 1945. 互联网档案馆的存檔，存档日期2010-04-12. Retrieved March 3, 2009. ^ 11.0 11.1 龍應台. 《大江大海一九四九》. 香港: 天地圖書. 2009. ISBN 9789882191129. ^ 鄭閔聲／台北報導,"李登輝同船緣 卸任後互動多" 存档副本. [2013-05-05]. （原始内容存档于2013-05-06）. ,中國時報,2013-05-05 01:26. 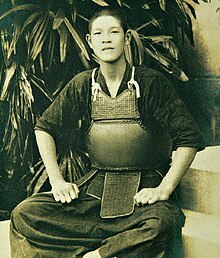 ^ 監院報告 李登輝生父是日本人. 中視新聞. 2013-04-08. ^ 李登辉曾两次加入中共. 文汇报（香港）. 2002-11-08 [2017-04-06]. （原始内容存档于2012-07-12）. ^ 魏东升. 五十年来当事人首次打破沉默——李登辉加入、脱离中共的真实内幕. 紫荆. 2004年2月 [2013-09-17]. ^ 魏碧海. 李登辉加入和脱离中共内幕——李登辉入党介绍人吴克泰访谈录 (PDF). 军事历史. 2004, (2): 6–8 [2016-02-24]. ^ 李登辉与「新民主同志会」的同志们. 中国时报. 2013-06-27 [2016-02-24]. ^ 李登輝訪談錄出版 坦承曾加入共黨. 中央社 (联合新闻网). 2008-05-17 [2017-08-18]. （原始内容存档于2017-04-06）. ^ 曾經是共產黨員 李登輝終於認了. 中国评论通讯社. 2008-05-17 [2017-04-06]. ^ 视频：专访台湾前总统李登辉（四）. BBC中文网. 2014-07-28 [2014-08-01] （中文（中国大陆）‎）. ^ KANO精神は台湾の誇り. Voice（日语：Voice (雑誌)）. 2015, (2) [2016-02-24] （日语）. ^ 林寬裕; 張世輔; 林勳裕. 那段康大的日子. 中華電視公司. 1995-04-12 [2019-04-16]. （原始内容存档于2019-04-16）. ^ 连载：李登辉七十六年档案(二). 生活时报. 1999-08-26 [2019-04-16]. （原始内容存档于2019-04-16）. ^ 楊鳴; 曾萬; 葉耀天. 鋤頭博士李登輝. 中華電視公司. 1992-06-24 [2019-04-16]. （原始内容存档于2019-04-16）. ^ 漆高儒. 《蔣經國的一生》. 台北: 傳記文學出版社. ^ 談李元簇 徐耀昌：他以身為台灣人為榮 存档副本. [2017年3月9日]. （原始内容存档于2017年3月12日）. ^ 李登輝《Voice》全文中譯：日本台灣曾經同為一國，作為「日本人」為祖國而戰. [Sep 13, 2015] （中文（台灣）‎）. ^ 何醒邦. 〈台灣總統牛1〉媲美日本A級和牛　李登輝牛明年量產【壹特報】. 壹週刊. 2018-05-18 [2018-05-19] （中文（台灣）‎）. ^ 釣魚台是日本的，台灣很感謝被日本統治. Ettoday. 2015年7月23日 [2015年7月23日]. ^ 李登辉. 「国を守るため」私も兄も志願兵となった 今も生きる「日本精神」がある限り日本は大丈夫だ. SAPIO（日语：SAPIO）. 2014-01-10, 2014 (2) （日语）. ^ 李登輝氏 ホラ話を広め軋轢を生む中国はリーダーになれない. NEWS Postseven（日语：NEWSポストセブン）. 2014-01-27 [2017-08-17] （日语）. ^ 「SAPIO(サピオ)」2月号も李登輝元総統の論考を掲載. 爱知李登辉之友会. 2014-01-21 [2017-08-17] （日语）. ^ 李登辉. 日台新連携の幕開け. Voice（日语：Voice (雑誌)）. 2015-08-10, 2015 (9) （日语）. ^ 李登辉. 日台新連携の幕開け [揭開日台合作的新帷幕]. 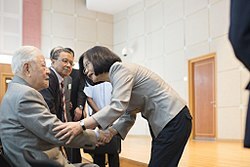 日本李登辉之友会. 2015-08-21 [2017-08-17] （日语）. ^ 李登輝《Voice》採訪全文翻譯：揭開日台合作的新帷幕. 自由评论网. 2015-08-25 [2017-08-17]. ^ 慰安婦問題已解決？ 總統府批李登輝無知、冷血. 自由时报. 2015-08-20 [2017-08-17]. ^ 黃宣翰. 李登輝問：不要核電，台灣怎麼辦. 聯合報. 2014-04-24 [2014-04-24]. ^ 李登輝. 關於昨天我在台南演講. 李登輝 Facebook. 2014-04-24 [2014-04-24]. ^ 溫貴香. 李登輝曾雅妮 相約切磋球技. 中央社. 2011年1月17日 [2015年9月29日] （中文（台灣）‎）. 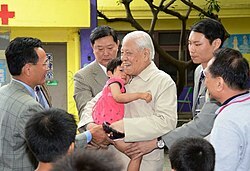 ^ 92歲李登輝 椎動脈裝支架. 《蘋果日報》. 2013-07-13 [2015-03-23] （中文（繁體）‎）. ^ 殷宗文病歿 涉案將獲不起訴. 中央社. 2011-06-30 [2011-07-04]. （原始内容存档于2014-08-09）. ^ 國安密帳案 北院金融庭承審. 中央社. 2011-07-01 [2011-07-04]. （原始内容存档于2014-08-09）. ^ 李登辉是日本人吗怎么还不逝世 李登辉被开除党籍. 鄂东网. 2015-07-29. ^ 否認領取終身俸 李登輝辦公室要求楊仁壽公開道歉. 風傳媒. 2017-03-16. Kagan, Richard C. 2007. Taiwan's Statesman: Lee Teng-Hui and Democracy in Asia, Naval Institute Press.